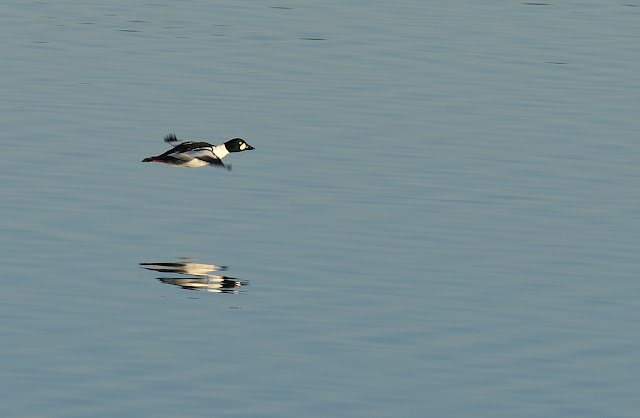 This shot of a drake Goldeneye was taken this weekend at the Camel estuary. A pair were present. The water was still with barely a ripple, giving this nice reflection. Good image Steve, the wing blur looks really effective giving a good sense of movement.